Mi Note 5 is an upcoming smartphone by Xiaomi. The phone is rumoured to come with a 5.99-inch touchscreen display. Mi Note 5 is expected to be powered by an octa-core Snapdragon 835 processor and come with 6GB of RAM. Mi Note 5 based on Android and packs 64GB of inbuilt storage. The person who has given thid phone a single star and called it a bad device doeesnt know whst he is talking about. he is talking about the redmi note 5 and not abouit the device on this page. redmi note 5 pro is a newer model in the redmi hnote range and is the evolution of the redmi note 4 and uses a 700 series snapdragon and is in the under INR 15000 in the market. 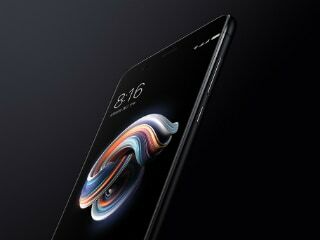 the phone on this page is the xiaomi note 5 and it is a high end device and uses a snapdragon 835 cpo which was the top cpu in 2017 and is second only to the current snapdragon 845. it is clear that thid person didnt even bother to look at the specs and description before writing a bad review and made it appear to be a lousy phone. it is clearly mentioned here that the phone is an upcoming model while he dsyd he bought his device in the first week of june. he hasnt even read the description and is trashing a product which is alien to him. Seriously, this phone has a high end processor, 6 gb ram and 64 gb internal memory in its cheapest variant, while his phone hhas 43 gb ram and 32 gb internal storage. I was purchase this phone from a shop at 6th of june 2018.after 20days charging issue on that phone,i was go on mi service centre they says thay charging plate is damaged and change that then after they provide the set.after charging plate change their is heating problem on set and coverage issue also,sim slot first does'nt show network.its a new phone plzz resolve my problem what should i do???????? ?